Two Bears Farm and the Three Cubs: Boom! A burst of memory from a smell. The scent of apples...it always takes me back to memories of my Dad. He loved a slice of warm apple pie with 'jack' cheese. Wierd isn't it, how that works. Soap you buy in stores is not true soap. It's detergent. They remove the glycerin (natural component of saponification) and add chemicals to make it lather. I will make a batch of soap this weekend and then bring you all my equipment and teach you how to make your own. I had forgotten you had asked me to do this over a year ago. This will be our summer project. I need to order some palm oil and go to Sams for a big bottle of olive oil, but I think I have all the other oils and I know I still have some lye. Scent it with peppermint and ticks won't like you. When I smell lilacs, I am transported back to my old homestead that I grew up in. I love lilacs. I love it when memories come back because of some scent, I recently bought a lipstick that took me somewhere back in time, and it's frustrating that I cannot pinpoint where and what was it..
No surprise memories lately, but scent is such a powerful reminder of things. OMG, I remember those days of contact lens cleaning! Ugh, what a pain. And the joy when my eye doc told me I could switch to the multipurpose solution!! Last weekend, I actually had a couple moments where scent took me back to a familiar time. On Saturday, I'd made pancakes, bacon, (and for the adults, coffee) for breakfast when my mom was visiting. Something about that combination took me back to my grandmother's kitchen. And later that day, we'd been re-mulching our front yard landscape with wood mulch (the non-dyed "natural" wood mulch). It obviously smelled like shavings you'd use in a horse's stall - so it immediately took me back to being in my home-away-from-home, a riding stable. The shavings, the leather . . . ahhhh. Whenever I walk into the Indian restaurant in Lynchburg, even before I'm seated, I am transported back to Bowling Green, Ohio and my Indian friend's kitchen. Brings back good memories from many years ago (the 1980s). And the smell of boxwoods outside my doctor's office, especially if they've been warmed by the sun, takes me back to the time I was an adjunct instructor at Randolph-Macon Women's College. The campus had a lot of boxwoods. 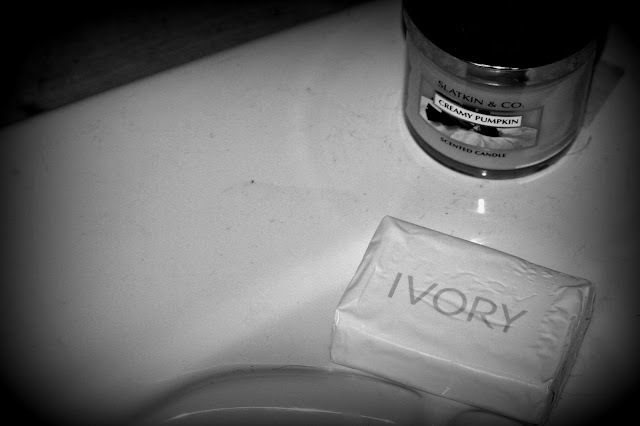 Ivory reminds me of baths when I was a little kid and when I used several bars last winter I could visualize the memory. I often have flash backs based on smells, even the smell of my horse reminds me of ones that were around when I was a boy. Strange how it works. you made me remember my sister going thru the same thing - the contacts, not the soap allergies. Yes, this happens to me all the time! I didn't know why, but thanks to this post now I do! Oh my sister did all of that with her contacts...I think she has disposable ones now. Food smells take me back in time...especially any type of breads...to my grandma's kitchen. Fresh mint brings back memories of my mother. She always made fresh mint tea every morning. You continue to amaze me, Lisa!!! I have known that smells bring back the strongest memories, more than sight or anything else. But I never knew WHY, this is AWESOME!! I am going to write it down. Now I will go and buy some Ivory, just to keep and smell. One thing about it, though it is very pure, it is also really drying as well. P.S. I bet it still floats!!!! They used to have an ad and that is ALL they said! "Ivory, because it floats." You could stick a mast and sail on a cake for the boys, cute! I was just recalling the same thing this morning about my Grandmother's old home. What a powerful way to recall people and places! The aroma of Lilly of the Valley brings memories of my Grams house when she was still with us. I loved smelling the Lilly of the Valley at her house in the Spring. Lilacs bring smells of long ago. I like the smell of Ivory soap. We used it some when I was little. It has the cleanest smell to me. Apples reminds me of my grandma and her baking! I love recalling smells with memories! I love ivory soap but haven't bought any since I started making my own. Ivory is very gentle. Hope it works for you. Sometimes when I use a Cover Girl make-up the smell of Noxzema brings back memories. Ivory reminds me of my grandparent's hotel: The Blue Top hotel. I used to collect the leftover soaps when I helped. We had an aunt who would melt them down into new bars. Cigars remind me of my grandpa. We use Ivory soap--there's a bar at every sink in this house! The soap that floats--plus it's cheap and easy on both people and the planet. I'm a big fan. Isn't it amazing how smells can transport you back in time in an instance? I haven't used Ivory bar soap in over a decade! I laughed at the contact story. I forgot all about once a month cleaning and the heated units! Funny how much things have changed!